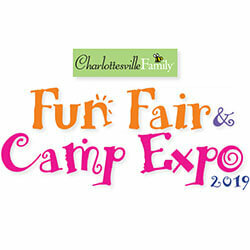 The 14th Annual Fun Fair & Camp Expo, hosted by Charlottesville Family, will take place February 10th at the DoubleTree in Charlottesville. The Fun Fair and Camp Expo is the only expo of its kind in Central Virginia, where families can talk face-to-face with camp exhibitors from all over the East Coast! Enter giveaways, play games and activities, and learn about great summer camps from all over the East Coast.